Football! We are working on getting tickets for the football game between the University of Michigan and the University of Illinois. Our guess is they will cost $65-$85 each and we have requested 35-50 tickets. Individual and tickets for small groups can be purchased on line from various services on line. Games always sell out, and with a winning season this past year and an excellent coach, there will be a strong demand for tickets. If you can get tickets now, buy them. Also, this is a homecoming weekend, so the town will be packed and all hotels within 20 miles will be sold out. 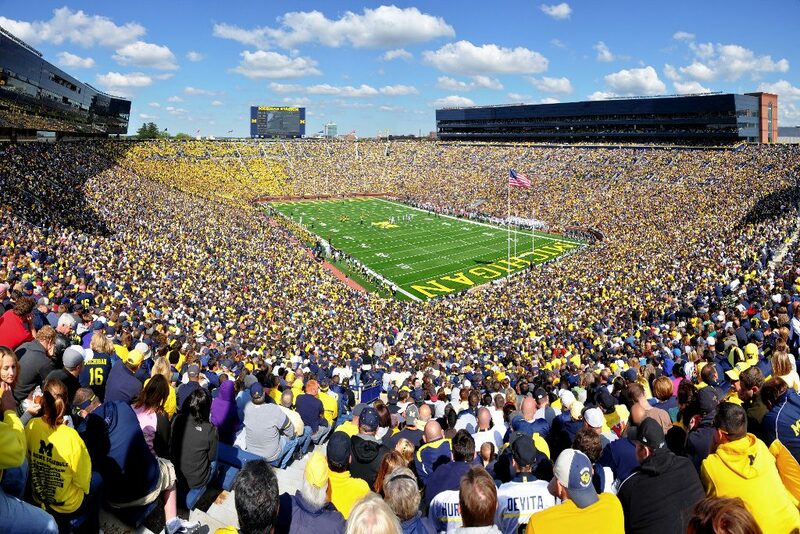 To provide perspective, the population of Ann Arbor is about 117,000 and the stadium seats about 110,000. It is the largest stadium in North America. Going to the game will be a unique and special event! If anyone has corporate connections and can get us into skyboxes, it would be appreciated. We strongly encourage folks that come early to use this day to meet with collaborators or potential collaborators. There are 6 conference rooms at UMTRI that we can make available, which are free to academic organizations and conference sponsors. Keep in mind that as this is a football weekend, finding space for anything will be a challenge.